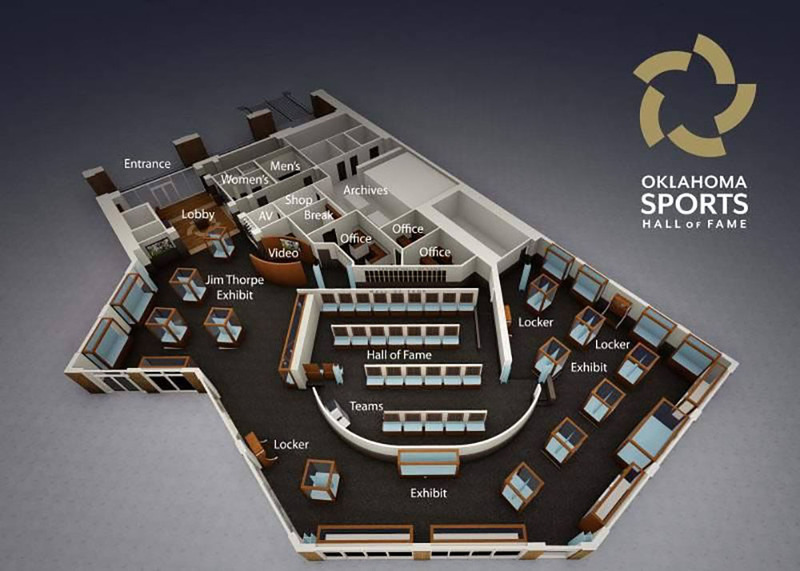 In August, the Oklahoma Sports Hall of Fame announced its intention to relocate from 4040 N. Lincoln Boulevard to the old Coaches restaurant spot in the Chickasaw Bricktown Ballpark. 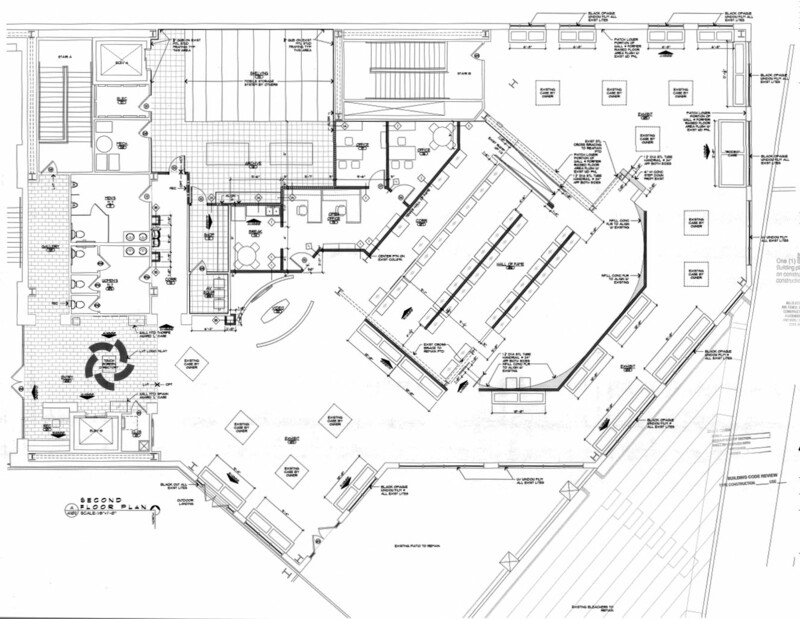 Here is the first look at the detailed plans which include relocating the prominent Jim Thorpe bronze statue, a new mural, and museum space which will include the existing patio that overlooks the ballpark. As a part of the move, the current location will close on November 4, 2017, although the event space will remain open. 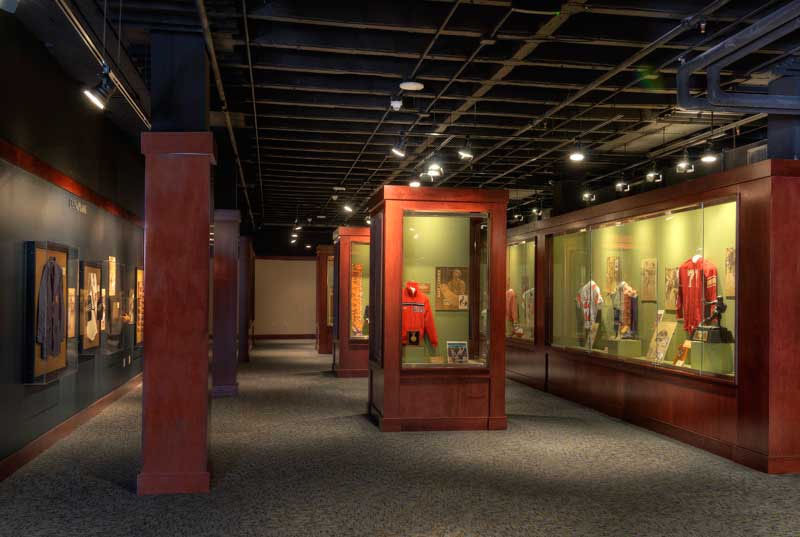 The new 10,000 square foot space located above the Dodgers' team store will feature an interactive installation near the entrance, a room for video presentation, and large display areas for the museum's 3,000 items including exhibits, memorabilia and inductees. The large plaza will feature brick pavers and the Thorpe statue in front of the stairway that leads visitors up to the second level museum space. 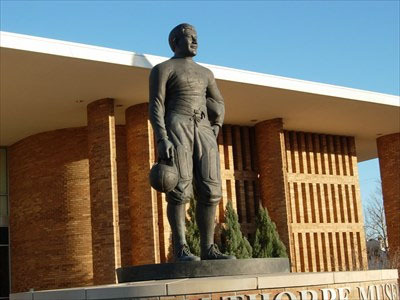 The Oklahoma Sports Hall of Fame is a nonprofit organization established in 1986 to honor Oklahomans who have represented the state positively through sports. The museum was established on Lincoln in 2009. It also annually selects recipients for the Jim Thorpe Award which signifies the top defensive back in college football and the Warren Spahn Award for the best left handed pitcher in professional baseball. The new Bricktown location is to open in April of 2018. Really glad to see this. I've long believed that more of OKC's museums should move downtown. I hope others follow suit. Looks great. Suspect it might impact the bricktown beach. 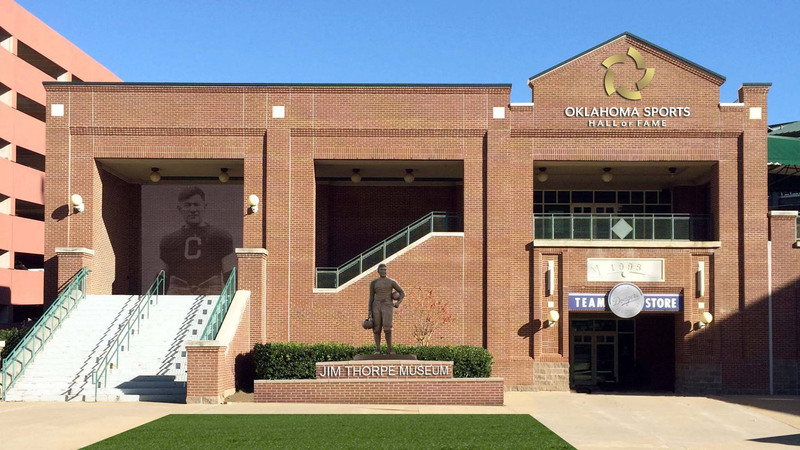 I noticed that a Hobby Lobby banner was erected at the old Oklahoma Sports Hall of Fame on N. Lincoln Blvd. yesterday.